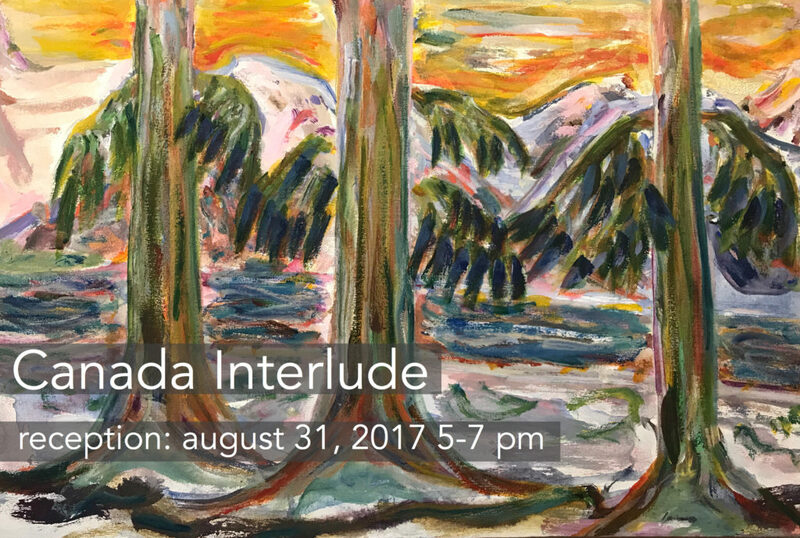 Join us for the gallery reception of “Canada Interlude” featuring work from artists of the Nina Collective and the RBC Emerging Artists Project. 16 artists from the Nina Collective have been working alongside a group of volunteers from the RBC Emerging Artists Project and Artistic Director Paul Freeman, exploring the work of iconic and lesser known Canadian artists to see how they have portrayed our landscape and social history. The group has experimented with different styles of painting and are now going out to take photos and sketch or paint ‘en plein air’, seeking inspiration for their own work. Brittany Liethieser, Ken Hayward, Grace Willard, John Wilson, Samantha Crier, Carl Philip, Desiree McCook, James Horucki, James Greenough, Lora Pallister, Yvette Prefontaine, Randy Stennes, Matt Sinn, Scott Berry, Walter Rosychuck, Angela Marino, Brandon Hearty, Fatemeh Jiriaee, Kaida Kobylka, Noemi de Bruijn, Wei Li, & Paul Freeman.